PIN - SARAH COVENTRY. 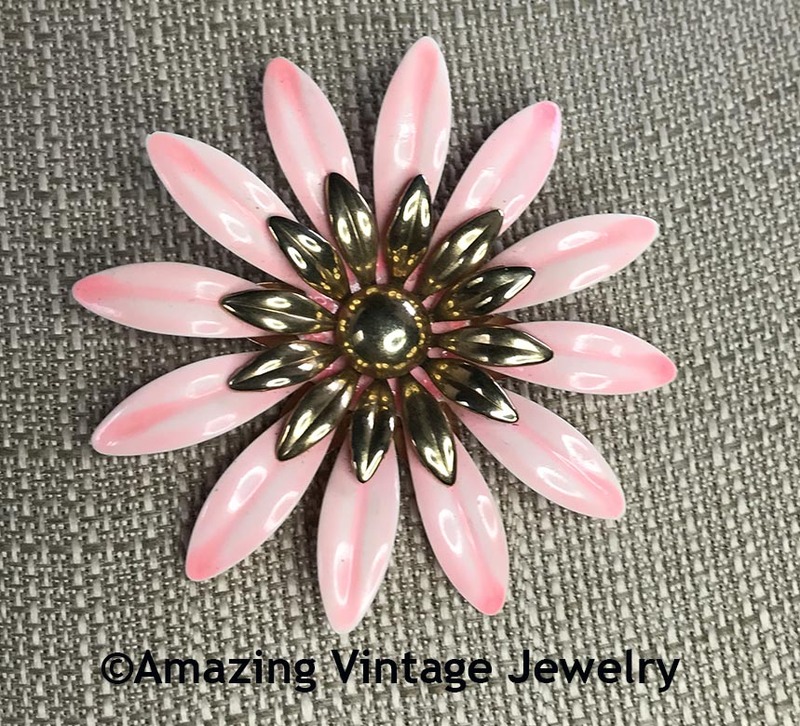 "FASHION PETALS" FROM 1968. 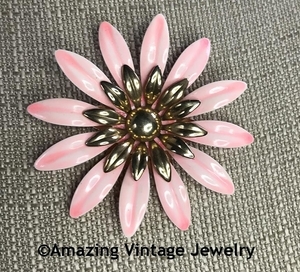 THIS LARGE, FASHIONABLE FLOWER HAS SHINY PINK ENAMEL PETALS WITH GOLDTONE CENTER. 3 1/8" IN DIAMETER. VERY GOOD CONDITION WITH A VERY MINOR CHIP TO THE TIP OF ONE OF THE PETALS. PINK ENAMEL IS JUST SLIGHTLY LIGHTER THAN THE MATCHING EARRINGS I HAVE LISTED.